Particularly in the inhalation device segment, PARI has been the trusted brand for doctors, pharmacists and patients for many years. Continuous product development and steady growth have enabled PARI to expand its market leadership in Germany for devices, saline solutions and holding chambers. 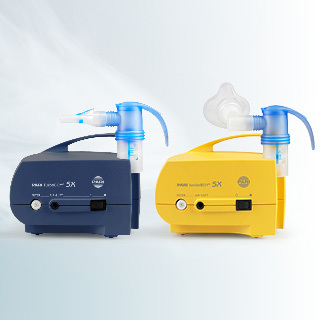 PARI is the global market leader in the segment of inhalation devices for cystic fibrosis. PARI offers specially optimised devices and solutions for inhalation for pulmonary, bronchial and nasopharyngeal diseases. A broad portfolio is used to provide patients with comprehensive care, ranging from diagnosis and treatment to monitoring. PARI’s mission is to improve the lives of those affected by respiratory diseases and of those who provide care to them. In addition to innovative products and tailored solutions, PARI also offers comprehensive services for users, medical professionals and distribution partners. PARI’s nebulisers and inhalation devices, clinically proven and tried & tested with millions of users, have convinced medical specialists and users for decades. They have undergone numerous marketing authorisation studies, due in large part to their proven performance and “made in Germany” quality, subject to strict quality control. Since only therapy carried out correctly over a long period produces a successful outcome, premium quality has always been our top priority: durable and reliable functionality, along with safe hygiene. In future, PARI will also continue to prioritise innovation so patients with respiratory diseases can receive the best care possible. We have two main strategic approaches to research and development: Improved user-friendliness thanks to fast inhalation times, product mobility, and easy handling, aimed at minimising effort for patients. In addition, PARI is developing integrated therapy solutions for chronic respiratory diseases, which cover everything from diagnosis, inhalation therapy and respiratory physiotherapy, to health monitoring. The goal is to provide doctors with options for providing customised therapy for their patients. Involvement in numerous studies, positive test results and awards such as the German Design Award 2015 for exceptional user-friendliness of VELOX or being honoured as the brand of the century attest to the fact that PARI is on the right track.